Brian Phillips (left), project manager with Tonn and Blank Construction, recently took members of the St. Francis Community Relations and Marketing department and representatives from the Borshoff agency on a tour of the new patient tower construction site. The new surgery suites, located on the second floor, are taking shape. 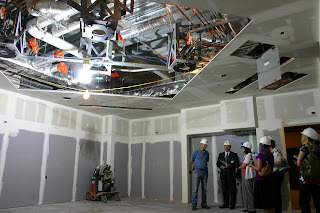 Mounts for lights and cameras are being installed in the ceilings of the surgical suites. 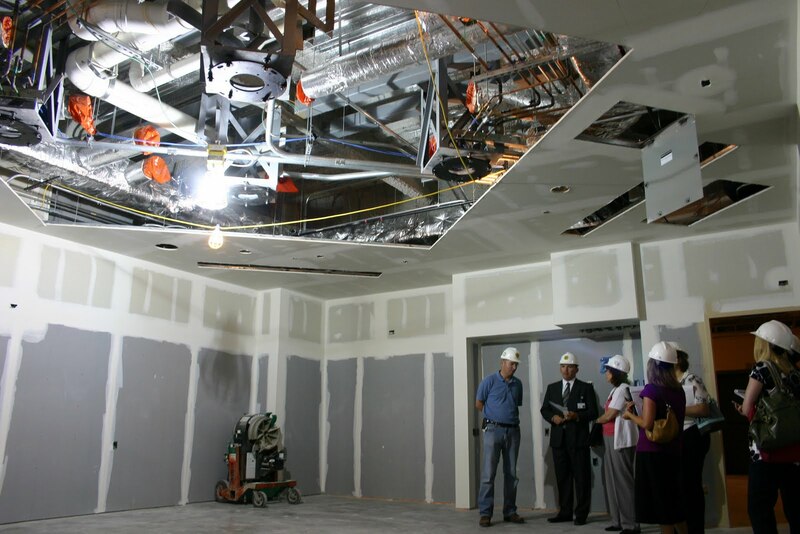 A separate air-handling system for the surgical suites is also housed on the second floor.